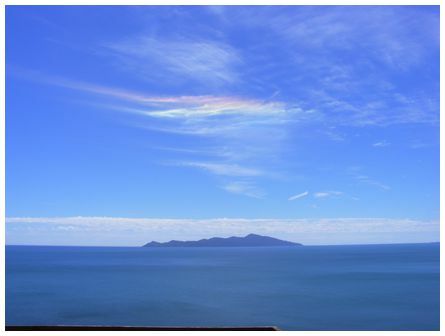 'Rainbow coloured clouds in blue sky above Kapiti Island. Very light southerly. Fine, sunny and calm at ground level. 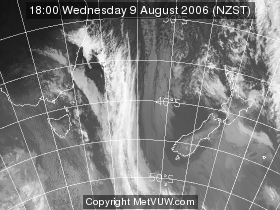 Taken looking due north from Pukerua Bay at 13:39 on 12 February 2012. Camera: FujiFilm Finepix S5700; Standard setting' wrote Kelly. 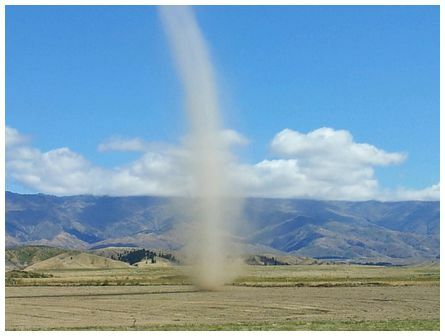 Marijke's fabulous photograph of a dust devil was taken at 11:00 on Sunday 12 February 2012 near Omakau, Central Otago. 'View of Mt. 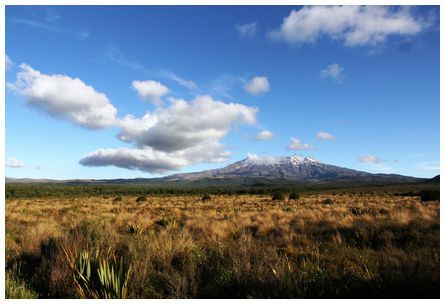 Ruapehu taken on State Highway 47 at 09:30 on 4 January 2012. 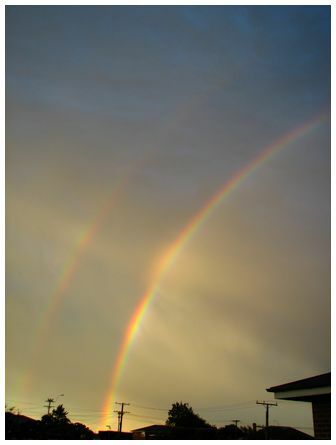 Canon EOS 60D F14 1/200 sec 15mm focal length' wrote Murray. 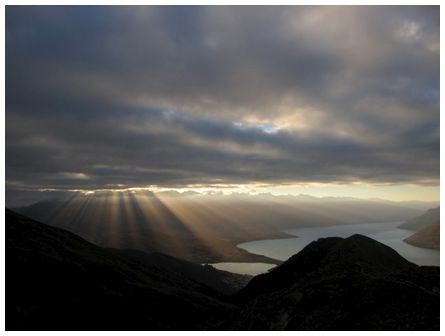 'Taken at 07:09 on 8 January 2012 from Ben Lomond track in Queenstown near the saddle. Camera was pointing north east towards the Remarkables. The forecast was for a clear sunny day but the low early morning cloud had a gap and the rising sun created this beautiful skirt of sun rays in front of the Remarkables. The camera is a Canon IXUS 11' wrote Lindsay. 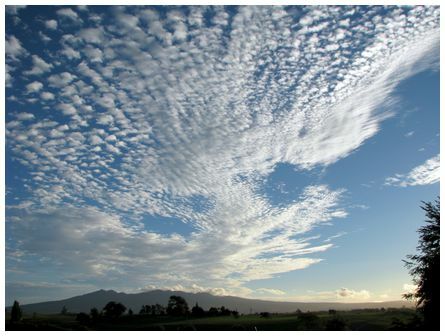 'Hi James, this photo was taken at 19:58 on Thursday 9 February 2012 looking west towards Mount Pirongia from Ngahinapouri in the Waikato as the sun was beginning to set. 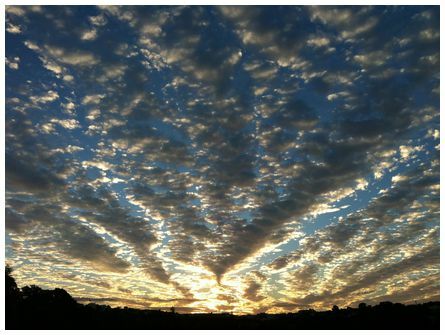 The day had been fine and warm with only a light breeze and this 'big sky' was impressive for a brief time. Thanks for your website - we use it often' wrote Vicki.